Business organizations deal with a lot of functions on an everyday basis. There is a lot of paper work involved and this can be quite overwhelming. Using a business application form makes it easier for the business organizations and the people dealing with them to make the whole process a bit more systematic. Based on what the reason for making the Application Forms is, the format and the segments in the business application forms can vary. 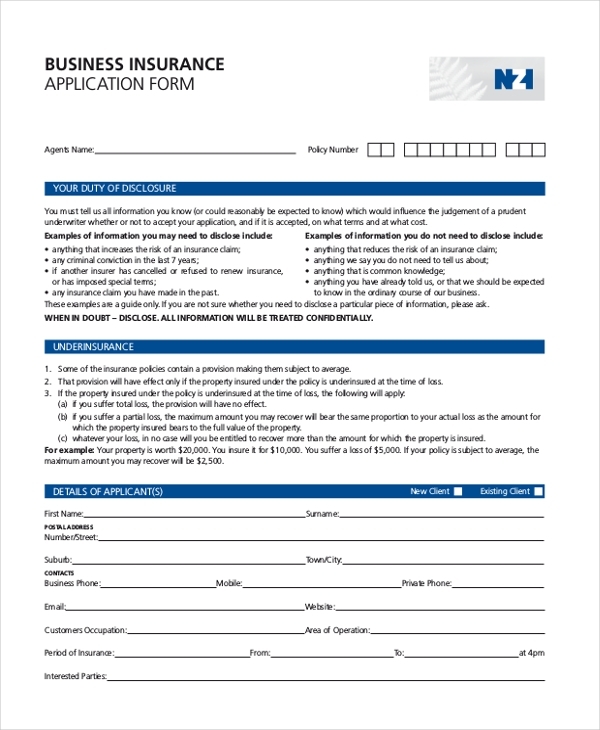 This form is used by insurance companies to allow business organizations to apply for an insurance scheme. The application form consists of a number of segments that the applicant should fill in with the relevant information. The company then reviews this form and decides whether to offer the insurance or not. You may also see Vendor Application Forms. 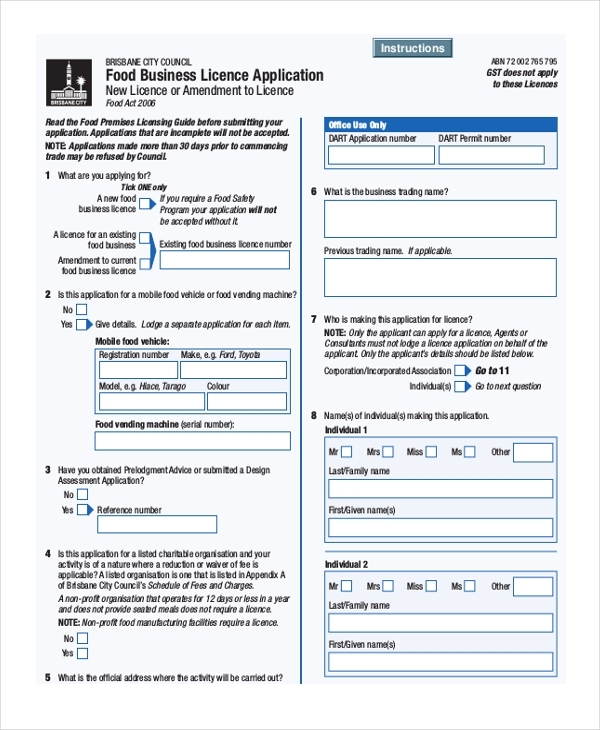 A person who may be interested in commencing a food business can use the aforesaid form to apply for a license with the concerned government authority. The applicant should fill in the required details in the form and then submit it with the relevant documents. 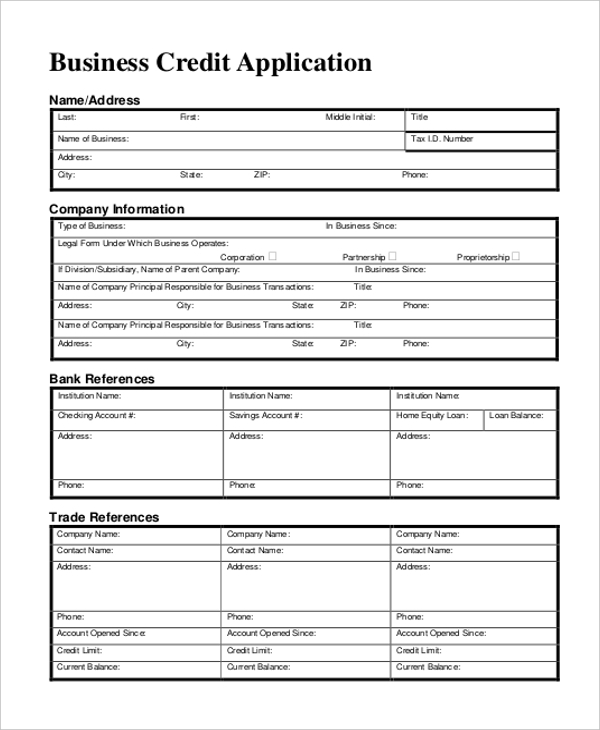 This Credit Application Forms can be used by any business organization to allow their customers to apply for a credit limit or to enhance it. The applicant should fill in his details in the form along with the reason for seeking the credit. 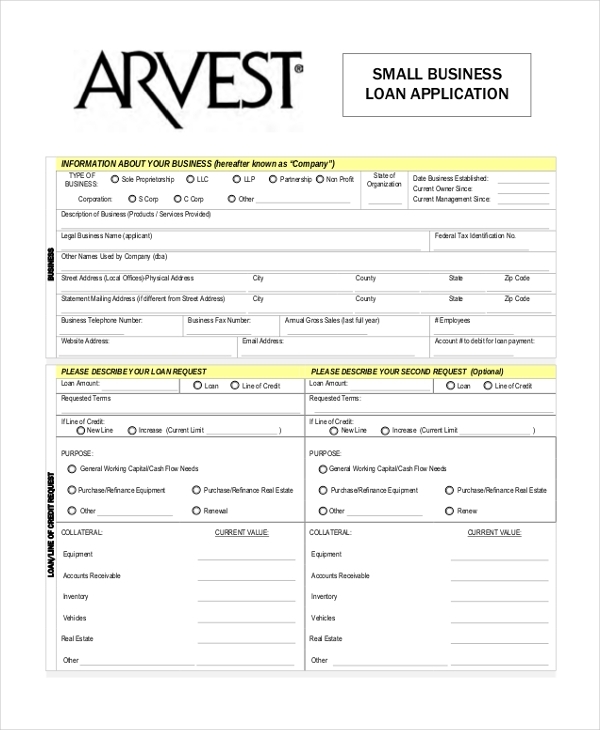 This form is used by financial institutions to allow small business owners to apply for a loan. The form comprises of a number of segments that should be filled in with relevant information and then the form should be submitted for review. 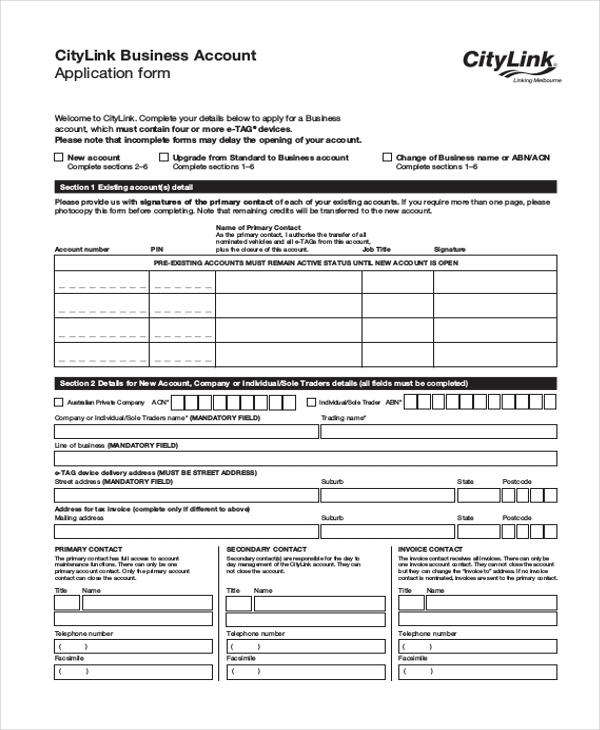 This form is used by government agencies to allow a person to apply for a permit to start a business. The form follows an acceptable format and comprises of various segments that should be filled in by the applicant with all the relevant information. You can also see Work Application Forms. When a new customer or vendor associates with a business organization, he is required to open a business account which is settled at the end of a particular period. This form is used for the purpose to allow this person to request for such an account. When a person wishes to start a home based business, he is required to apply for a proper permit for this with the government. It is for this purpose that the concerned authority uses the aforesaid form. The person should share the information about himself and his proposed business in the form. You may also see Restaurant Application Forms. 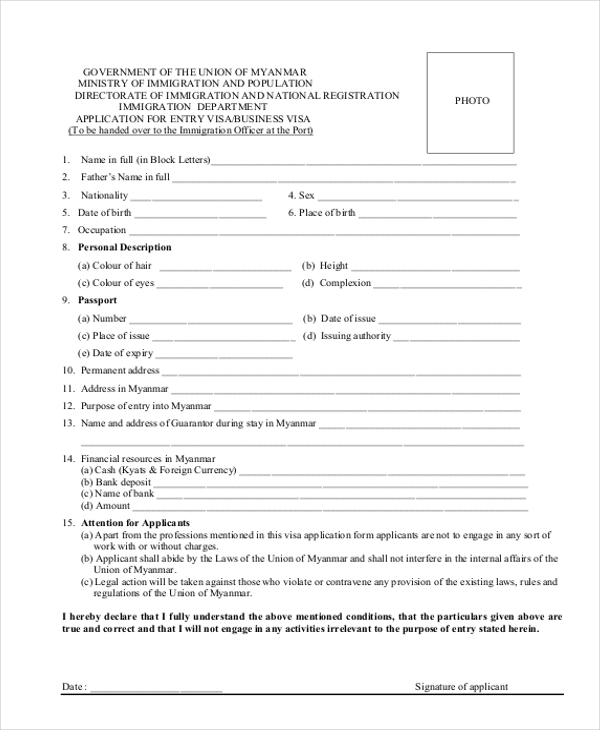 A business owner who wishes to apply for a business visa should use this form. The form comprises of a number of segments that should be filled in with the requisite details and then submitted to the authority concerned. 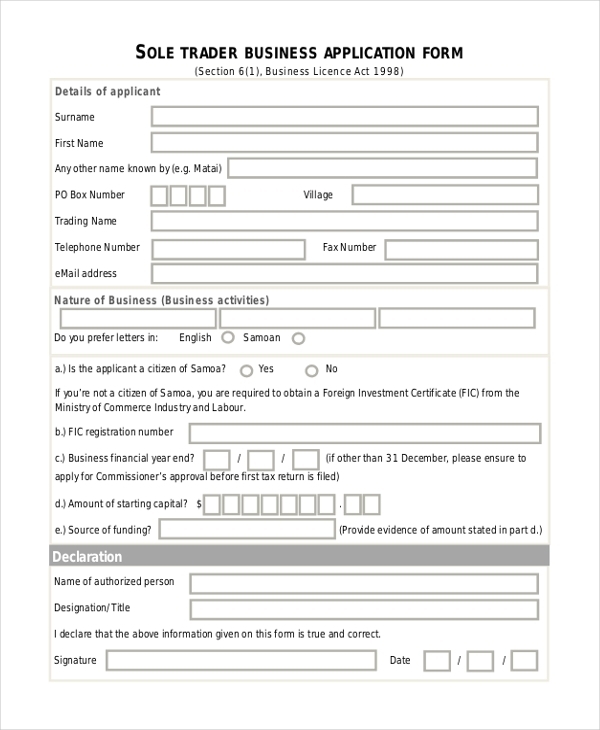 This form is used by a person to apply for a business permit when he wishes to start a trade just by himself. He needs to share his personal details as well as that of the proposed business in this form. Business application forms are used for a variety of reasons and thus the target audience for these forms is also quite varied. 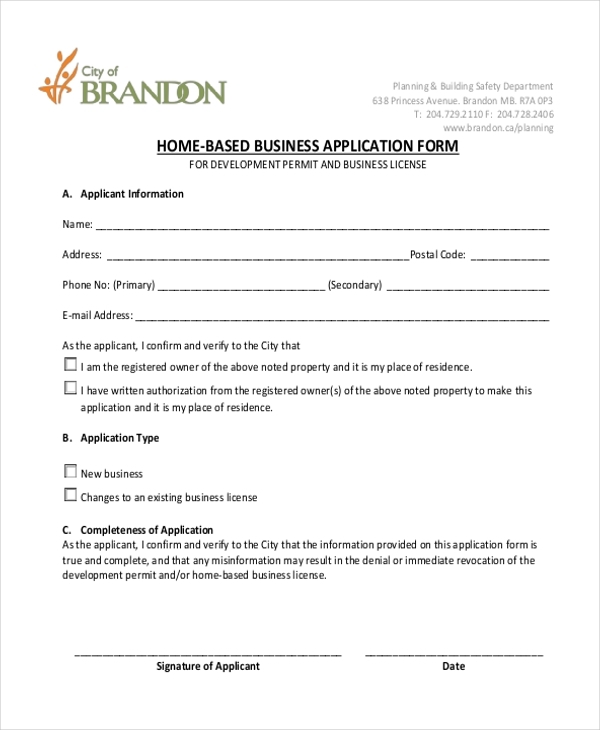 What are The Benefits of Using Business Application Forms? 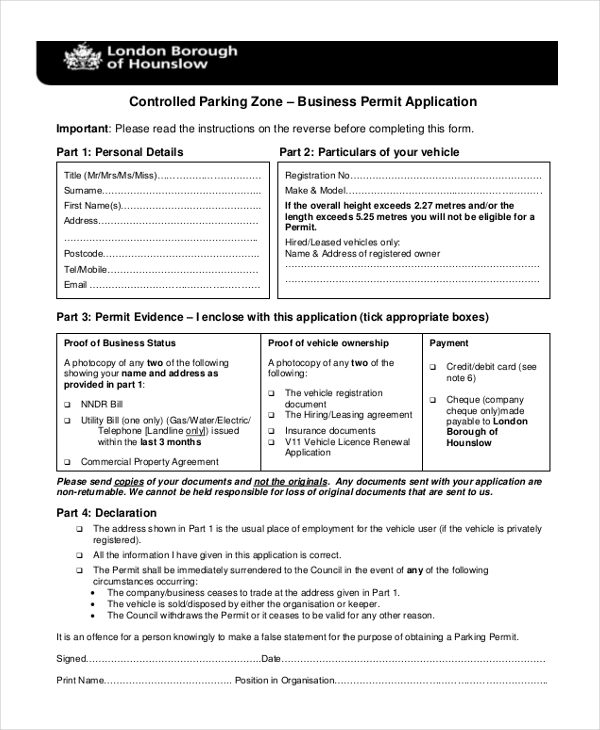 Need some help to design a business application form? Well, we have a whole range of these forms to choose from. Browse through these and pick the one that is apt for you. Easy to download and simple to customize, coming up with a unique business application form may seem like a child’s play. You may also see Employee Application Forms.